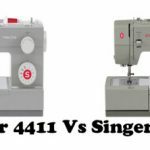 Today I’d like to discuss with you why not to buy a SINGER Pixie-Plus Sewing Machine, give you the reasons why to avoid this machine and provide you with a similar, but better option. I have honestly never seen such bad reviews on a sewing machine, on Amazon, out of 25 reviews it got about 1.2 out of 5 stars. 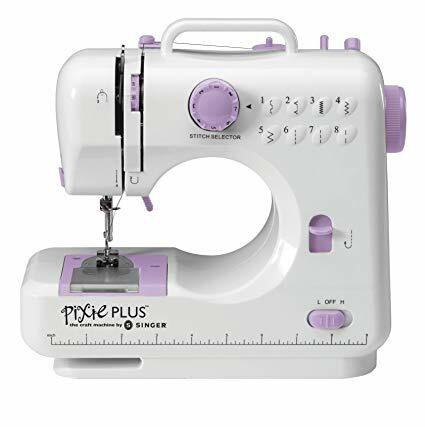 Not good at all, people who have bought the SINGER Pixie-Plus sewing machine are absolutely furious with their purchase, many claiming that they feel cheated and advising other not to buy this machine. There’s more than enough evidence online that this cheap machine is a piece of junk to say the least. The SINGER Pixie-Plus sewing machine is said to be great for kids, and the company itself consider this more of a “toy” than anything else, but don’t open your wallets just yet. After doing some research from my side, one buyer claimed that it is very unsafe to use since this particular person’s foot pedal got so hot and started melting the plastic under her foot, -and this is right after buying the SINGER Pixie-Plus sewing machine brand new! So, needless to say, nobody wants to give their kids one of these to play with, unless you don’t mind hospital bills. Overall the machine looks pretty neat and girly, but don’t be fooled by looks alone. This machine was very popular when it first came to light since the price tag was very affordable for anyone who wanted to learn how to sew, until the bad reviews started flocking in by the masses. Another user claimed, that since buying this machine brand new, she “only got about 10 minutes of uninterrupted sewing done, total”. Another said that it damages the material and breaks more needles than they’ve ever seen before. 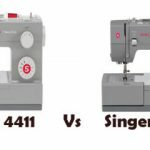 Surely this machine should not even be considered, but if you’re still not convinced, let me put that final nail in the coffin for you before giving you the best alternative to the SINGER Pixie-Plus sewing machine, one which is in the same price range but much more reliable and effective. Many users claim that when first opening their new machines, the bobbin pin wasn’t even in place or not functioning at all. 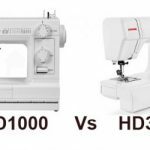 Now, if you know anything about sewing machines you’ll know that this is an integral part of any sewing machine, one that needs to work 100% if you’re to enjoy uninterrupted, professional and easy sewing. So, hopefully I’ve changed your mind about getting one of these. Nobody wants to struggle and I don’t want anybody wasting their hard-earned money on “a total piece of junk” as some claim. 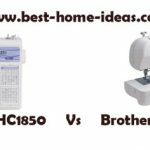 If you’re looking for a great machine to start off with, rather try the Brother XL2600i, it is every bit as affordable as the SINGER Pixie-Plus sewing machine but the quality are worlds apart. 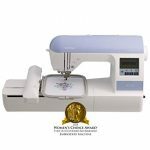 This machine is perfect for you and can handle any basic sewing tasks you might need. The reviews are great and customers are raving about this one. The Brother XL2600i is definitely worth having a look at!